Mark Allen Productions is a full service Western Entertainment Company. 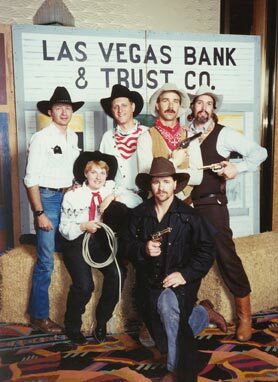 For over 30 years we have produced Wild West Shows on stage or arena as well as Western Theme parties and conventions. We are very proud of our DVD Productions which have become the main stay of the western industry. All of our DVD productions and the equipment for each skill can be purchased from our sister company Western Stage Props. Mark Allen, producer of MAP is a very talented Auctioneer and Comedian and is available to MC shows and events.